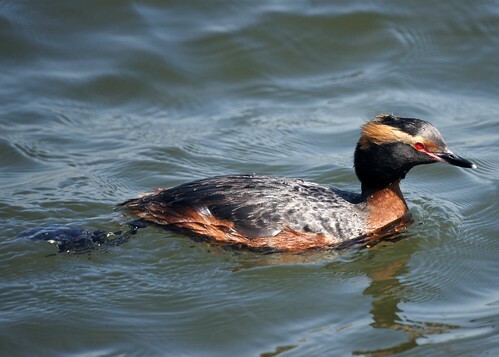 We went to Bolsa Chica to see the horned grebe. It had been reported right by the walking bridge near the parking lot and that's where we found it. We like reliable birds.